DK Eyewitness Travel Guide: Back Roads France will take you on scenic routes to discover charming villages, local restaurants, and intimate places to stay. Unearth the real soul of this magical region with all the practical information you could need, from road conditions and lengths of drives to parking information and opening hours for local attractions. Twenty-five themed drives, each lasting one to seven days, reveal breathtaking views, hidden gems, and authentic local experiences that can only be discovered by road. Each tour is bursting with insider knowledge and loaded with ideas for varied activities - from walks to days on the beach, children's attractions, wine tours, and cycling trips. Meanwhile, the most friendly, best-value hotels, guesthouses, and restaurants specializing in regional produce have been selected by expert authors. This guide is full-color throughout, with a pull-out map for easy navigation between drives. 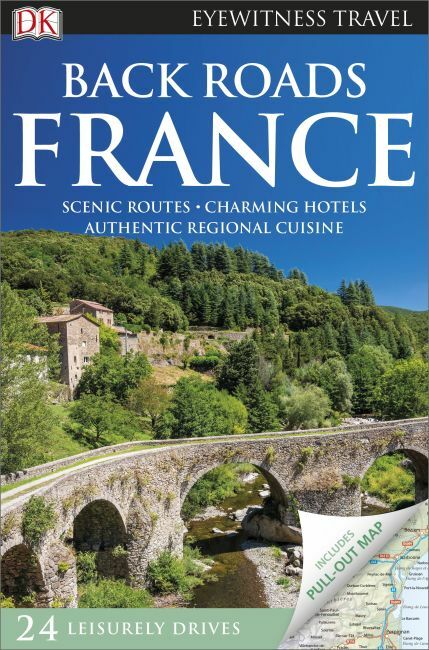 Discover the unexpected on your vacation with DK Eyewitness Travel Guides: Back Roads France.